Satisfy your appetite for lunch or dinner at the hotel's restaurant, Quai 50, or stay in and take advantage of the room service (during limited hours). Quench your thirst with your favorite drink at the bar/lounge. Buffet breakfasts are available daily for a fee. 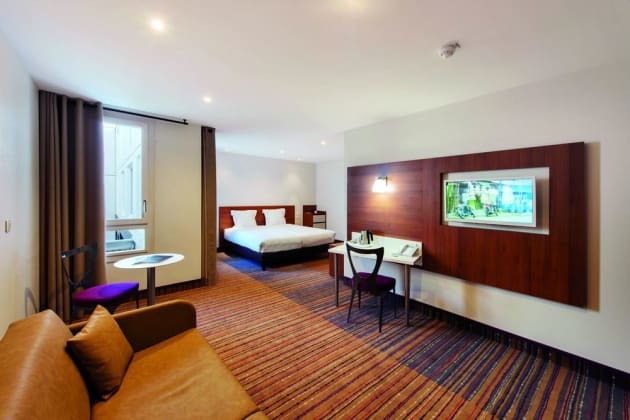 The ibis Lyon Centre Perrache hotel is located on Lyons' Presqu'île, a UNESCO World Heritage Site. A mid-way point between Confluence and the city center, visit Lyons on foot: Musée des Confluences, Old Lyons and its bouchons, Fourvière Basilica and the famous Place Bellecour. Perrache train, tram and metro station is just 55 yards (50 m) away. Neighboring the famous Brasserie Georges Lyon 1836, the hotel offers 123 rooms in a warm, modern setting. Secure partner car park 55 yards (50 m) from the hotel. 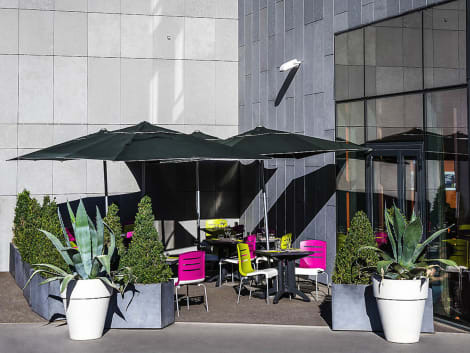 Breakfast and unlimited WIFI are included in the price at the ibis Styles Lyon Part-Dieu. Our new designer hotel is located in the heart of the Lyons business quarter, close to the historic city center, and is ideal for both business and leisure trips. Our restaurant offers fresh produce and a friendly welcome. All our rooms have a contemporary feel and are soundproofed and air-conditioned, perfect for both single travelers and families. 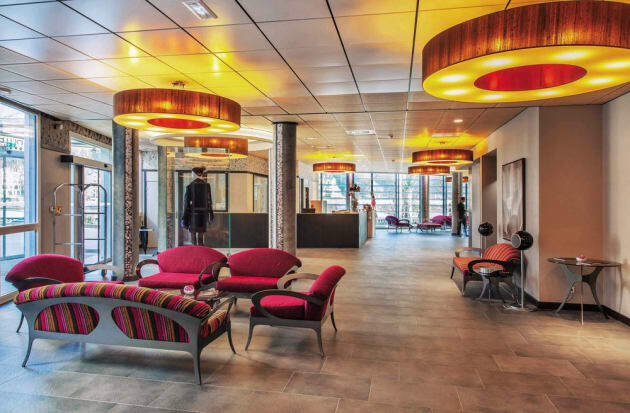 With a stay at ibis Styles Lyon Confluence in Lyon (Lyon City Centre), you'll be within a 5-minute drive of Lyon Confluence Shopping Center and Confluence Museum. 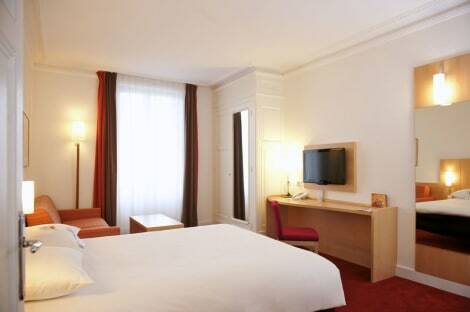 This hotel is 2.8 mi (4.5 km) from Bellecour Square and 10.6 mi (17.1 km) from Eurexpo Lyon.